Looking for outfit inspiration? I do have it! 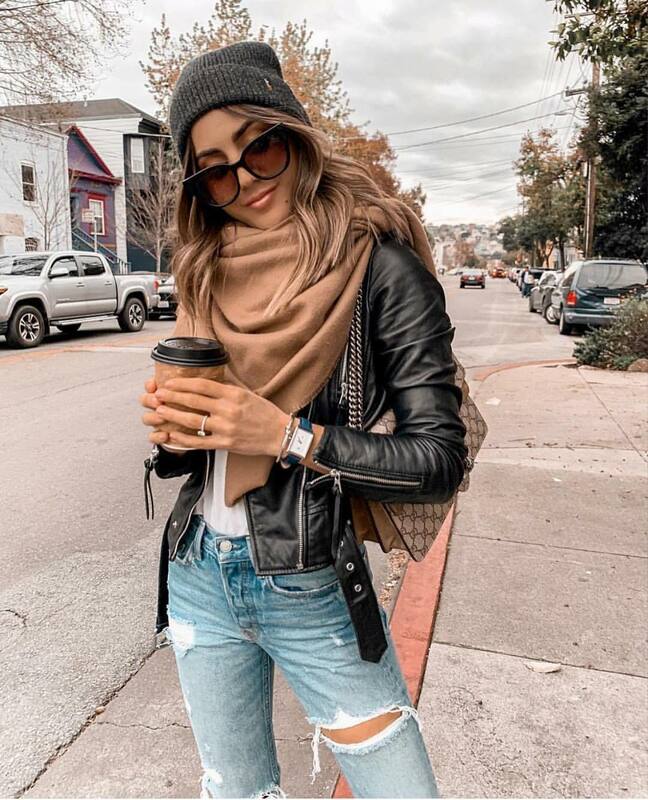 Check out this simple way of teaming wool camel scarf with a black leather jacket and ripped blue jeans. Complete it with a grey beanie and oversized sunglasses. 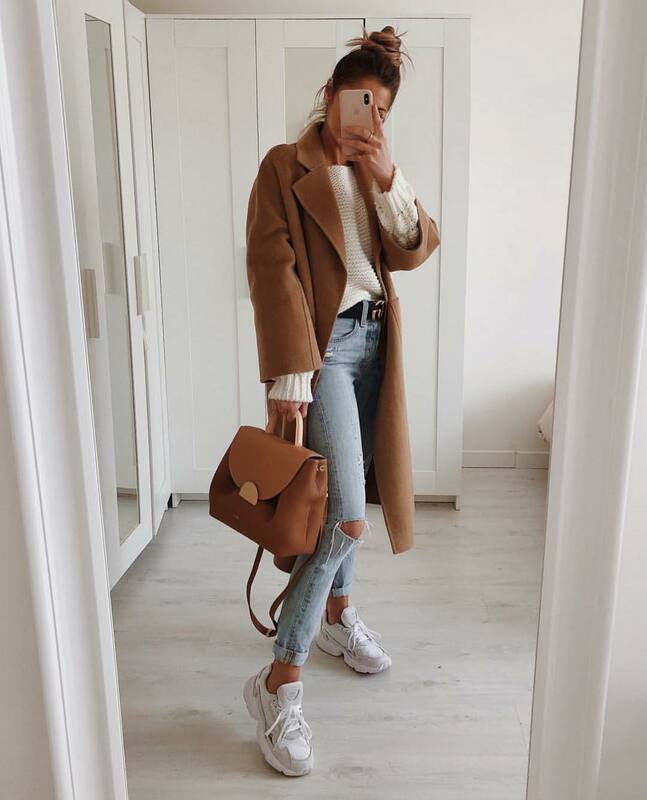 Beige fur jacket is a must-try clothing piece. Try it with 1970 style basics, like a fedora hat, oversized shiny sunglasses, ruffled white peasant blouse, and blue jeans. We see a terrific Summer vacation style for ladies who want to have some fun at the beach. It’s a getaway look consisting of a ruffle crop top with short sleeves and ruffled flared mini skirt all in red. Would you dare to wear it? Here we see a wonderful outfit idea consisting of a grey fur vest, grey hoodie, and shiny silver metallic pants. In love with leopard print beret hat! Would you give a try to such combo? I am a big fan of metallic pants.